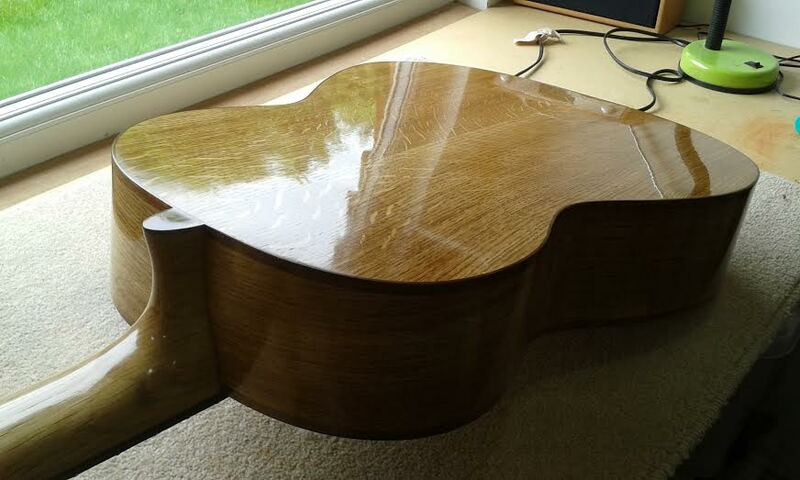 "Thanks Roy, my customer was so happy with his guitar, so thanks for teaching me how to French polish. 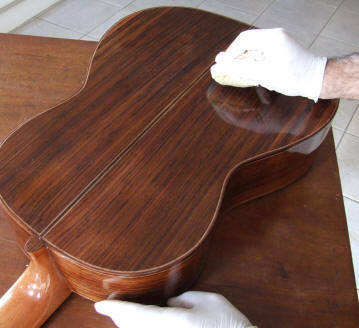 He said it is the best French polish he has ever seen and he has polished various bits furniture in the past. He even added some money on to the price when he wrote out the cheque! Thanks again for all you have done!" The current fashion with antique furniture is to go for a rather mellow, satin finish, without a high gloss. Even though much 19th century furniture would have been very shiny when new, we often prefer to retain the well-worn look of surfaces that have mellowed over time. 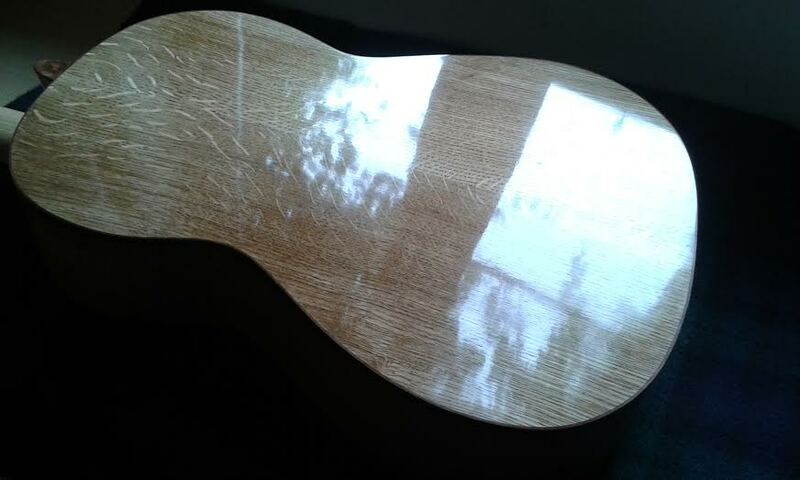 The modern classical guitar developed in Spain during the 19th century, and if you are fortunate enough to have an old guitar, you may wish to treat it in the same way as period furniture; to clean and polish it, but retain its history, patina and mellowness. But if you do want a full gloss finish, then you need to go through all the stages taught on our course (and described on the Students' Resources page). This will achieve a full gloss mirror finish.